I said it before, but I think this post warrants repetition: I do NOT hate white subway tiles. I have them in my own kitchen (see below) and bathroom. They are classic, timeless. They are clean, shiny, bright and affordable. So many virtues. 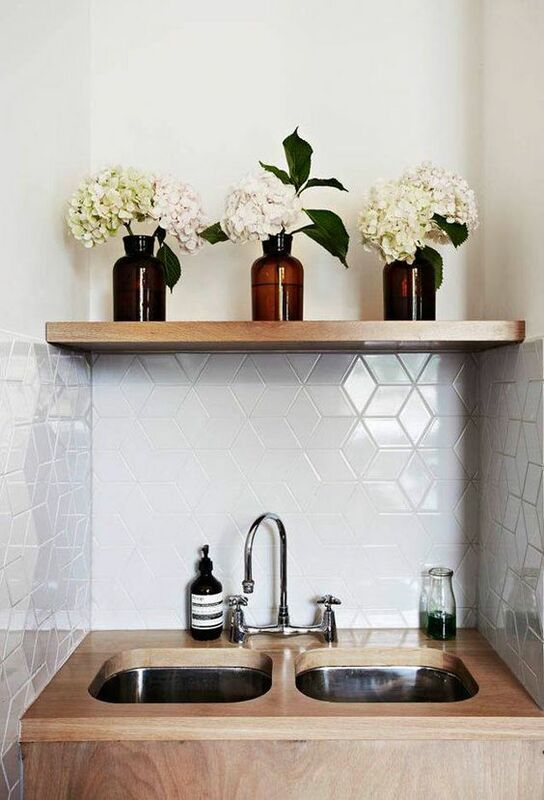 But it's also fun to do something a little fresh, unexpected or just simply different than the 3" x 6" white subway tile. So, let's just entertain the idea of something else for a fresh new kitchen. It doesn't have to mean a wild departure either. 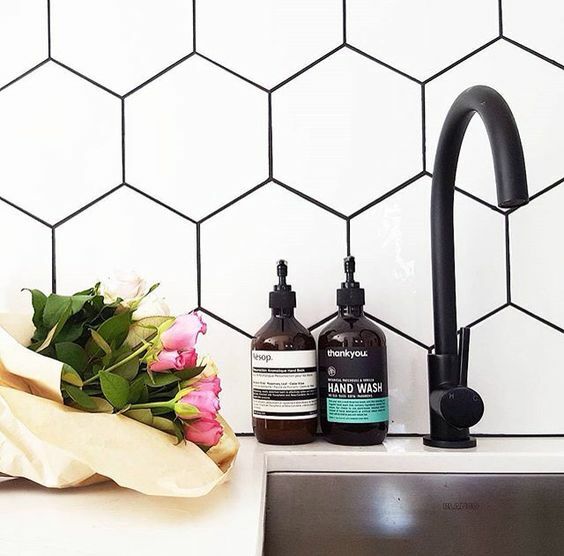 We've rounded up a practical list of alternatives to the white subway tile. 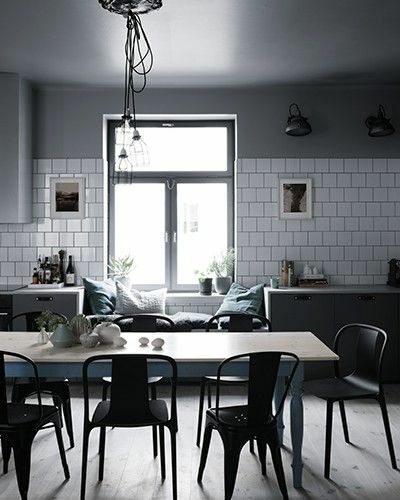 Not a list of our favorite tile in general (though that could be a fun future post), but rather, alternatives to the clean, simple, and classic role that white subway tiles play. 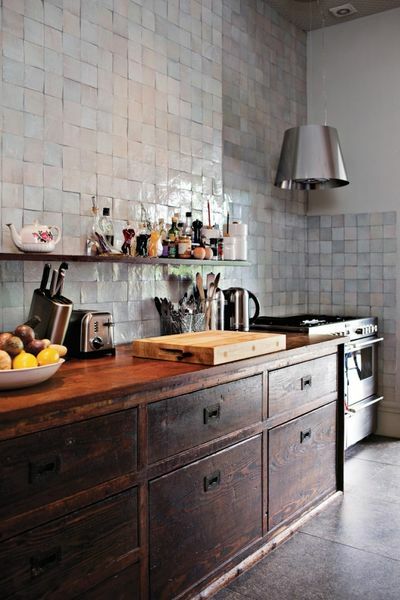 We'll also look at subway tiles but in different colors, finishes, patterns and sizes. These differences are a departure from the standard white version while still providing many of it's benefits. Square. It's the new rectangle. Black is as neutral as white. It is as chic as white and it is less common than white in kitchens. There are a lot of options out there. And, even different patterns that can be created with those tiles. 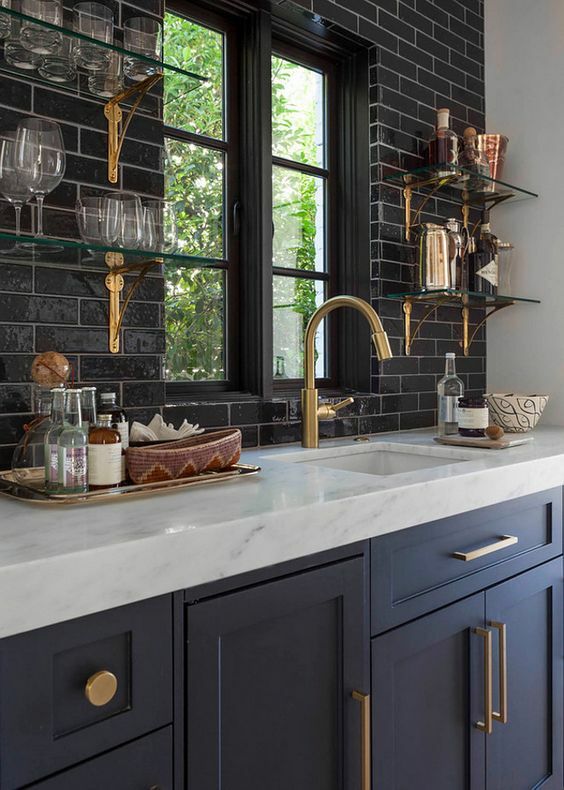 Options are endless but if you're looking for a subway tile replacement, these options stray just far enough away to serve the same purpose but with so much more style. To be fair, this option may price out of some budgets (though, not necessarily). It's so distinctive looking with one continuous slab, don't you think so? 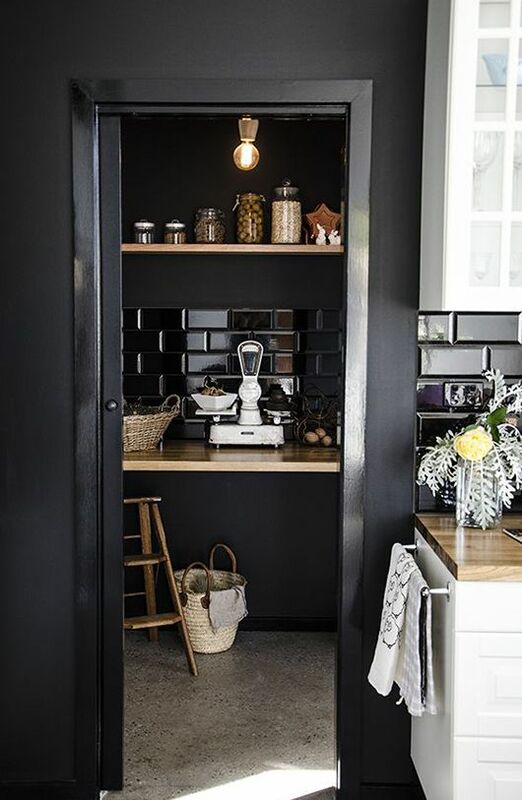 And indeed a good shaker style kitchen needs no backsplash at all! And in the end, if you're still wanting to go subway. Maybe look at a variation on it instead? I am madly in love with glazed tiles. Their shine! Oh my gosh! Handmade tiles? Sooooo good. Their imperfections make them so....so PERFECT! And Pattern. A slight variation in the orientation of even the most basic tile can suddenly surprise and delight! And what about those beveled subway tiles? Subtle yet delightful! Exaggeratingly large or small versions are also a step in the right direction. I feel like I could go on, but I won't. Baby steps. I hope this helps whet your whistle for something beyond the 3 x 6 white subway tile. 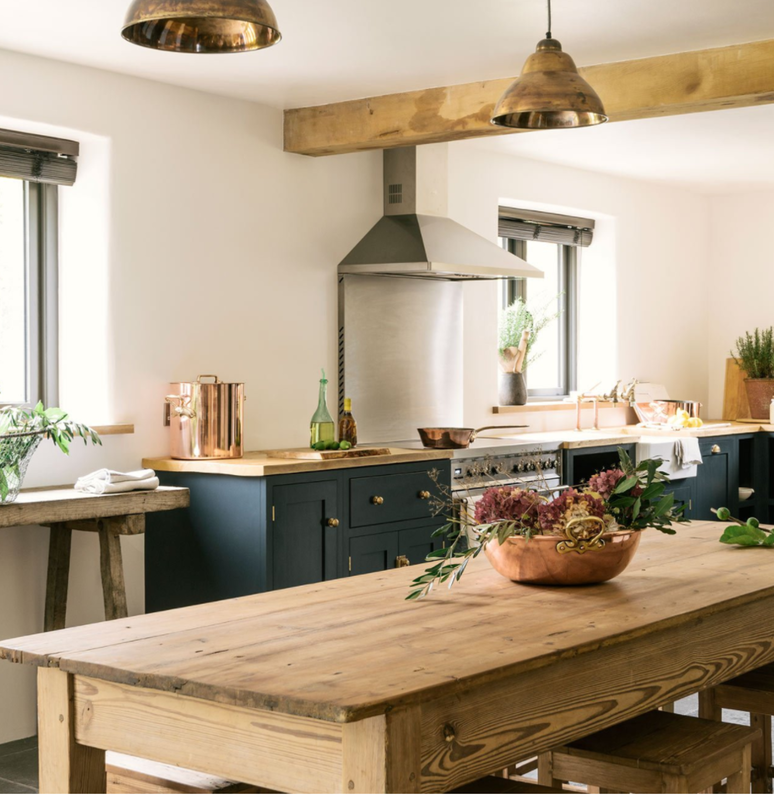 And of course, if you're interested in a quote for our help redesigning your kitchen, fill out our online form on this page here.